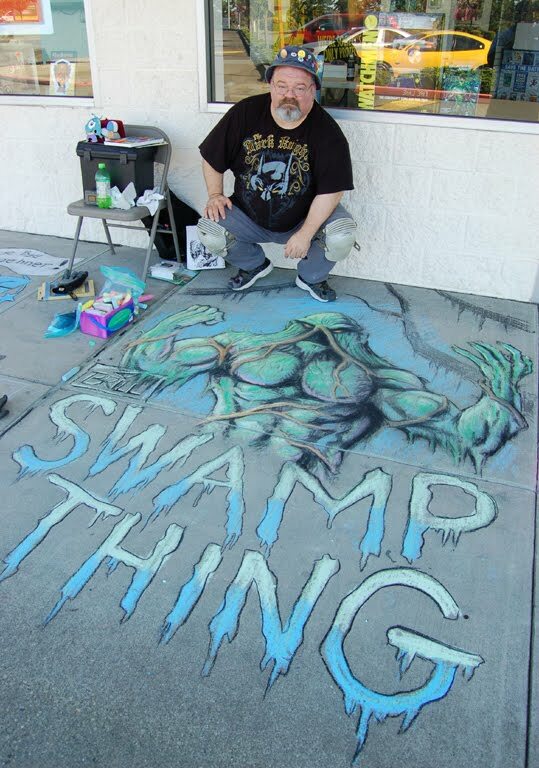 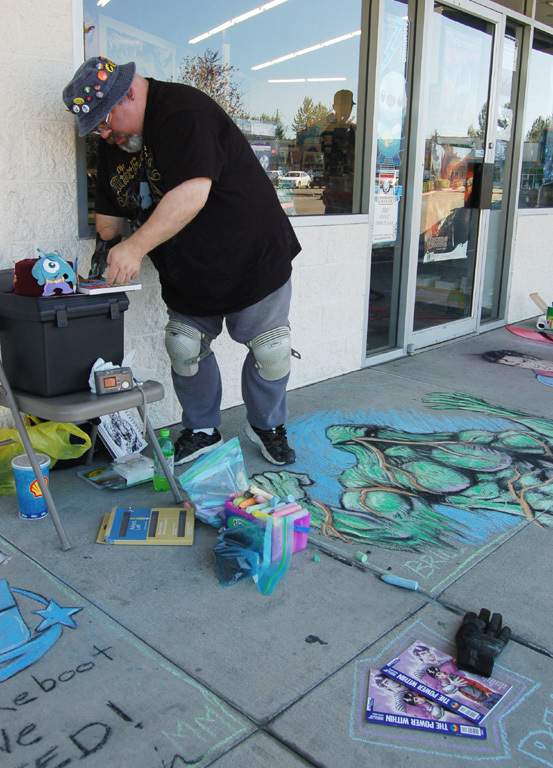 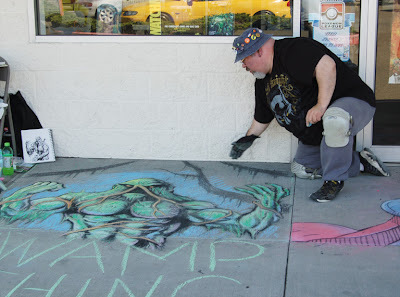 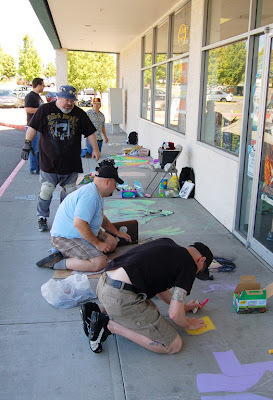 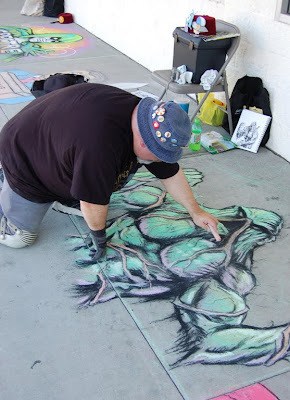 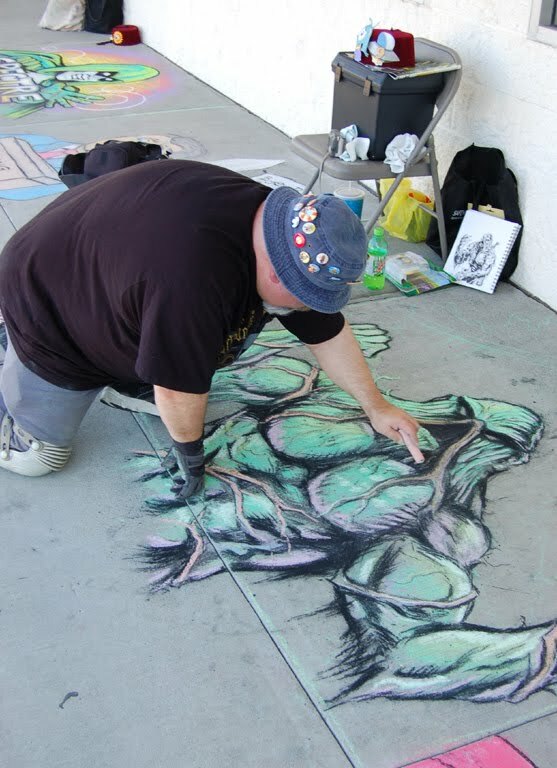 THE BRILLUSTRATOR: More pics from the DC Reboot Chalking Event! Here are some images my friend Marvin took of me "in action"! 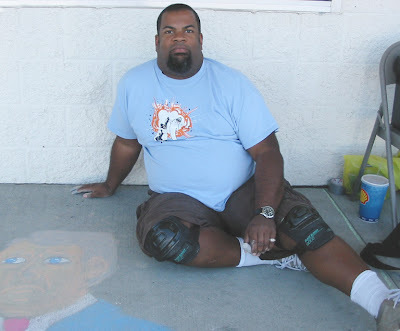 LOL So I apologize for the overly narcisistic content of it.